Reach your customers where they are, whenever they want what you have in store with ease using PayGoCart with WooCommerce. Double your customers’ shopping options without doubling your workload by connecting your point of sale with WooCommerce. Whether customers shop in your brick and mortar store or online, you’ll be able to provide them with a wonderful shopping experience. 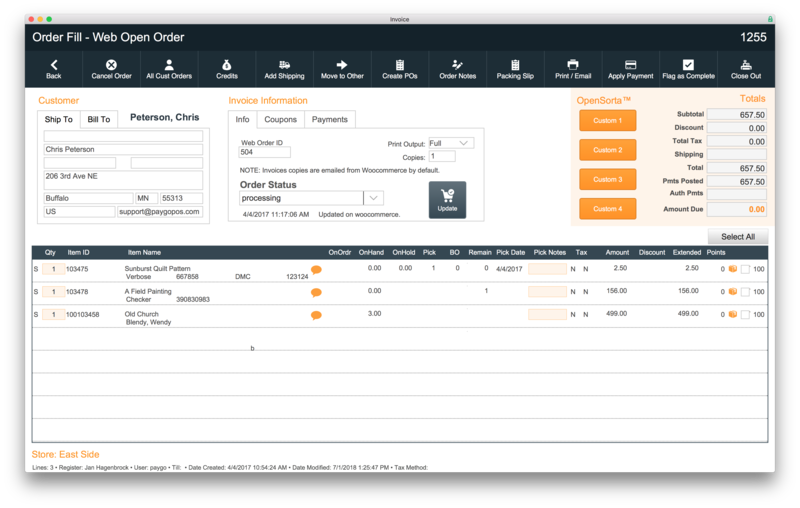 You can do it all from the point of sale solution you use all day long. PayGoCart with WooCommerce is that super solution you need. It allows you to integrate inventory, departments (categories), vendors, customers, and orders. No double entry! You control your cart from one spot! Why did we choose to offer an integration with WooCommerce? 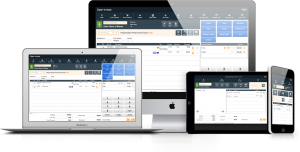 It’s simple, flexible, and customizable. We’re big believers in having the ability to tweak solutions to meet the unique needs independent retailers have. It’s used by over 30% of all online stores. It integrates with WordPress, the most popular platform for creating websites. 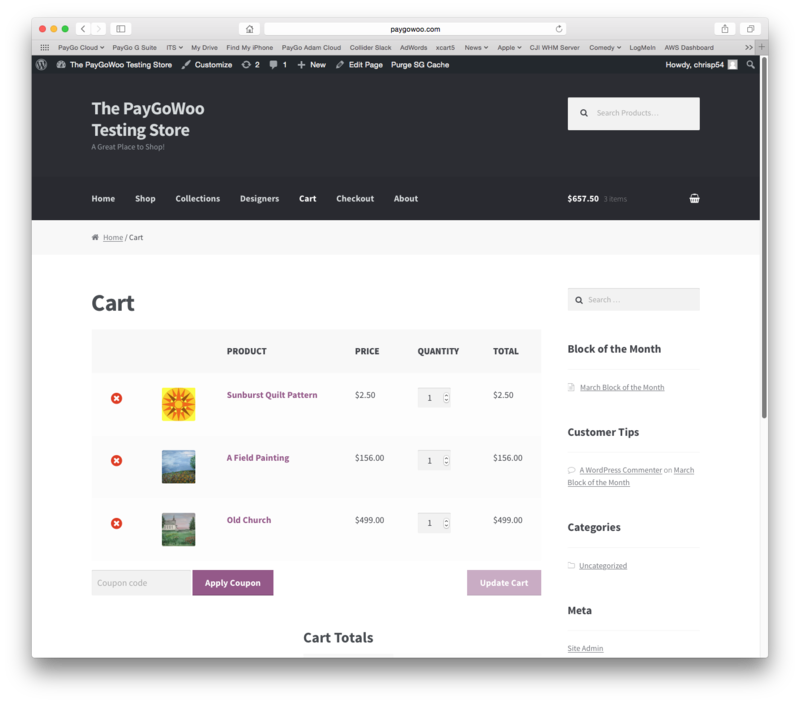 Take a look at how you can put PayGoCart with WooCommerce to Work For You: Click on the images to get a closer look. 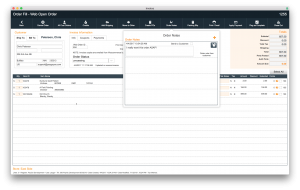 Enter information into your PayGo Product Screen. With the click of a button you can have it for sale on your website too. 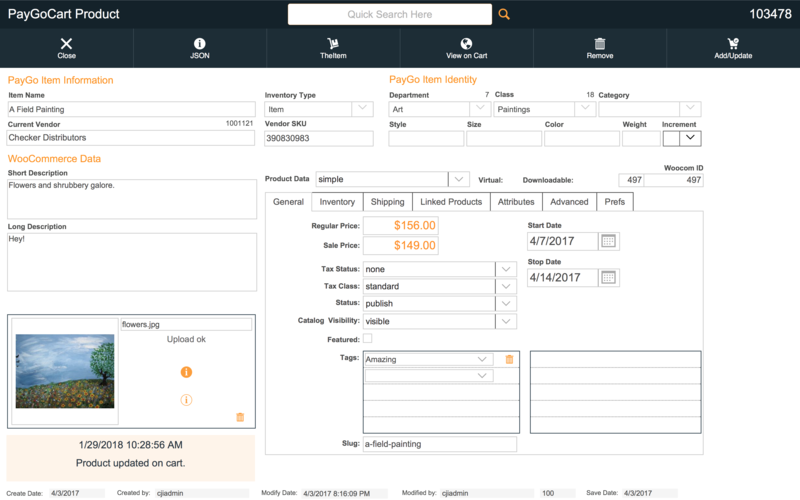 View your product list in PayGo. Manage what’s on your site with ease using the PayGoCart Product List. Your customer’s shopping cart on WooCommerce. 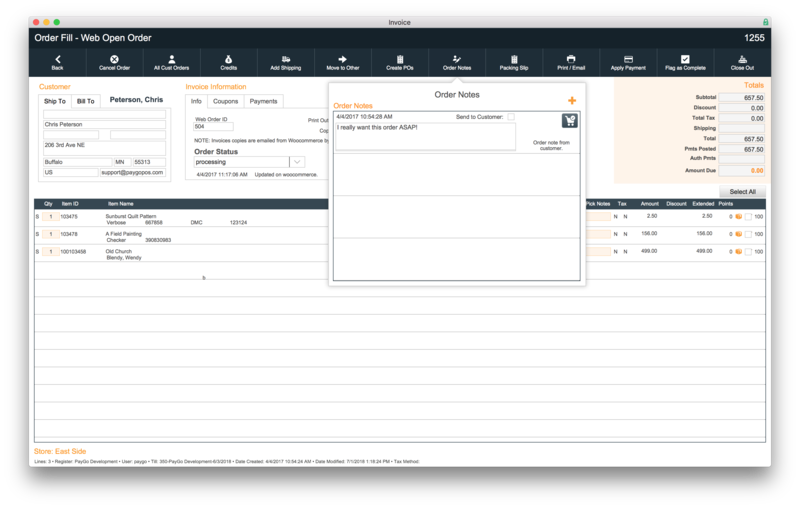 You can view your customer’s order in PayGo’s Order Fill screen. You are able to see notes about the order from your customer. 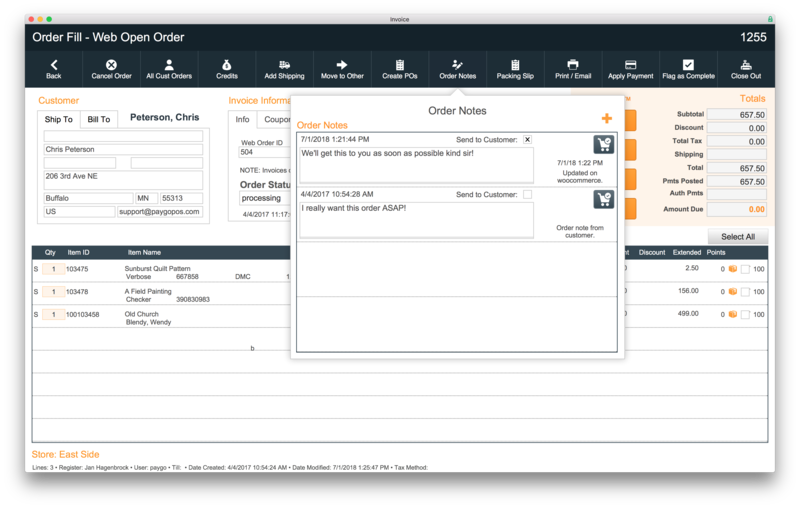 You can also send notes to your customer about their order. 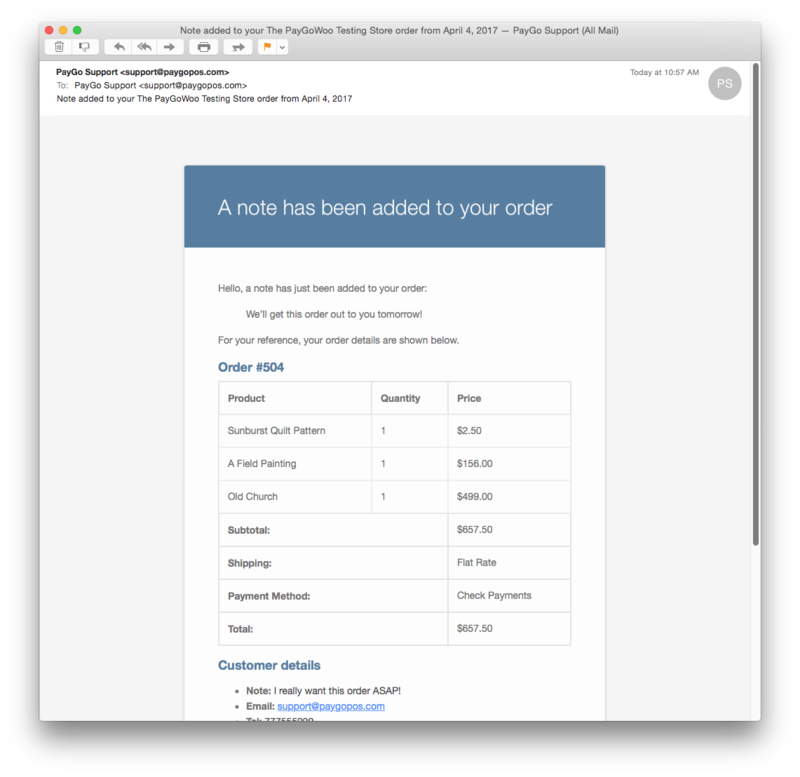 When you send a note to your customer from PayGo, your customer will receive an email update. Have WooCommerce? Connect it with your PayGo. Need WooCommerce? We can help you with that. Contact our team at consultant@paygopos.com, 866-545-7047 ext. 1, or via LiveChat to get started. 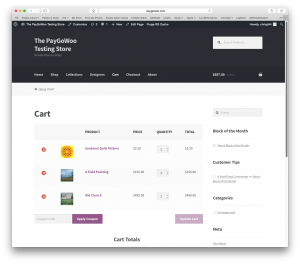 PayGoCart with WooCommerce: Provides access to a module that allows PayGo users to manage products, images, coupons, orders, and customers on their WooCommerce site without having to leave PayGo. 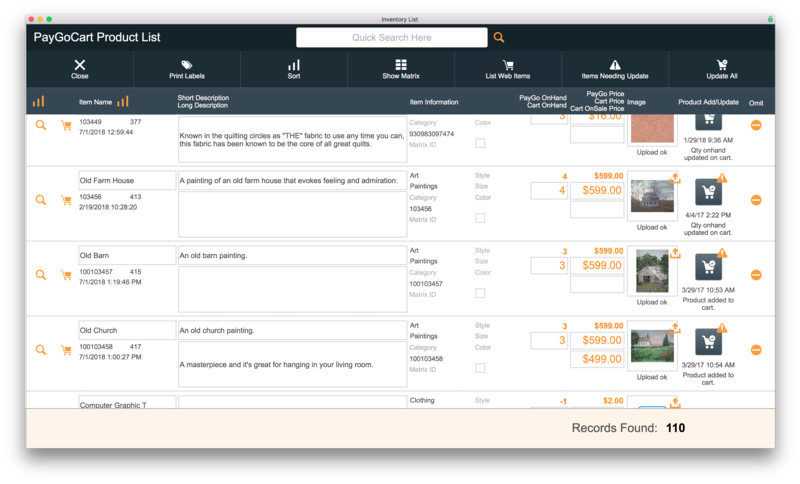 With this module your inventory, customer data and more will be updated in real time for both your online and your brick and mortar store. Regular Price: $599, PayGo Blue Members get 15% off. PayGoCart+WooCommerce Hosting and Ongoing Support: We will handle the hosting of your site (Up to 10GB of storage and 10,000 visitors per month), answer any questions you have about your WooCommerce site, and solve problems that come up with your WooCommerce site. Price: $59 / month for hosting + ongoing support. $39 / ongoing support only. WooCommerce Install and Site Setup: Are you unsure of how to get your WooCommerce store setup or where to begin? We can help. Our team can assist with everything from setting up your WooCommerce website on our partner servers to installing and configuring your domain, SSL certificate, and WooCommerce Storefront. Please contact us at consultant@paygopos.com or call 866.545.7047 ext. 1 for pricing. Design and Customization: Image matters. Does your online presence reflect the great merchandising and aesthetic of your store? We can provide cart customization and design at a great price. Regular Price: $75 / hour, PayGo Blue Member Price: $60 / hour. 4-hour minimum block required. Please contact us at consultant@paygopos.com or call 866.545.7047 ext. 1 to setup your free 1-hour website consultation. Want to know more about becoming a PayGoBlue Member? Click here. Get shipping rates from the FedEx API which handles both domestic and international parcels. Have more questions? Need a quote? 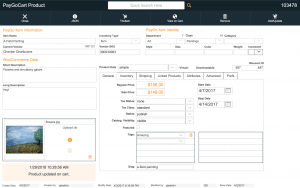 You can request one by emailing consultant@paygopos.com, via LiveChat, or by giving one of our Sales Consultants a call at 866-545-7047 ext. 1.